Dixon… State Representative Tom Demmer issued the following statement regarding tonight’s income tax increase vote in the Illinois House of Representatives. “As a member of the negotiating team, I know we have been making real progress with Democrats on both a balanced budget and meaningful reforms that would help put Illinois back on the right track. 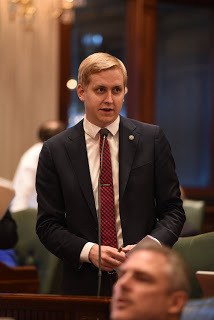 Instead, Speaker Madigan ended those talks and put a permanent income tax increase to a vote,” said Demmer. “Illinois is facing an unprecedented financial challenge. We need meaningful reforms to lower the cost of government, attract new jobs, and make Illinois a state where families and businesses can thrive” Demmer continued.